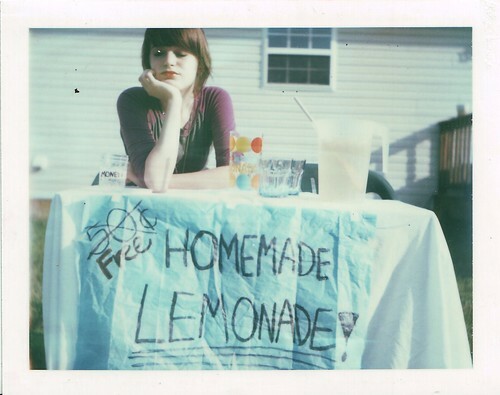 Lemonade Stand, originally uploaded by amanda pulley. in the winter, in the Holiday season no less? That's what happens when you live in the ever sunny California. I bought some Pom Lemonade earlier tonight and have been deliciously sipping away at it all night and then I found these wonderful photographs by Amanda of her twin, Kate. They sell their headbands over in their etsy shop as well, that's some entrepreneurial 16 year olds!